States compete with each other in a number of ways. Attracting (and retaining) new residents is one of the areas of competition. To help quantify where individuals move, United Van Lines, the largest moving company in America, releases a report each January compiling its client data for the previous year. By comparing the number of inbound moves to the number of outbound moves, United Van Lines data gives us the first insights into annual interstate migration, available much sooner than government data sources. The map below shows the top inbound and outbound states for 2016. 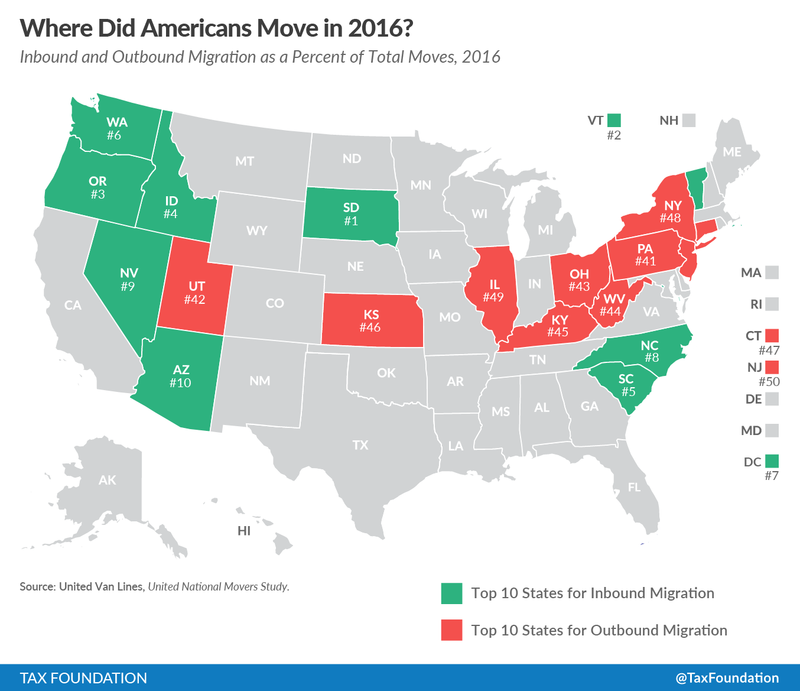 South Dakota, Vermont, and Oregon were the states with the highest percentage of inbound moves. New Jersey, Illinois, and New York had the highest percentage of outbound moves. South Dakota had a 68 percent inbound rate, while New Jersey had a 63 percent outbound rate. Individuals continue to move south and west. 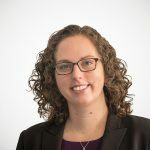 In the study, United Van Lines puts much of that trend on the impact of the aging population, stating, “This year’s data clearly reflects retirees’ location preferences. We are seeing more retirees than ever decide to relocate, and as a result, new retirement hubs are popping up in Western states.” One in four United Van Lines customers who moved to the West stated the move was due to retirement. High outbound states are clustered in the Northeast and Midwest. Many of these same states have worse than average tax structures, such as New York, Connecticut, New Jersey, and Ohio. 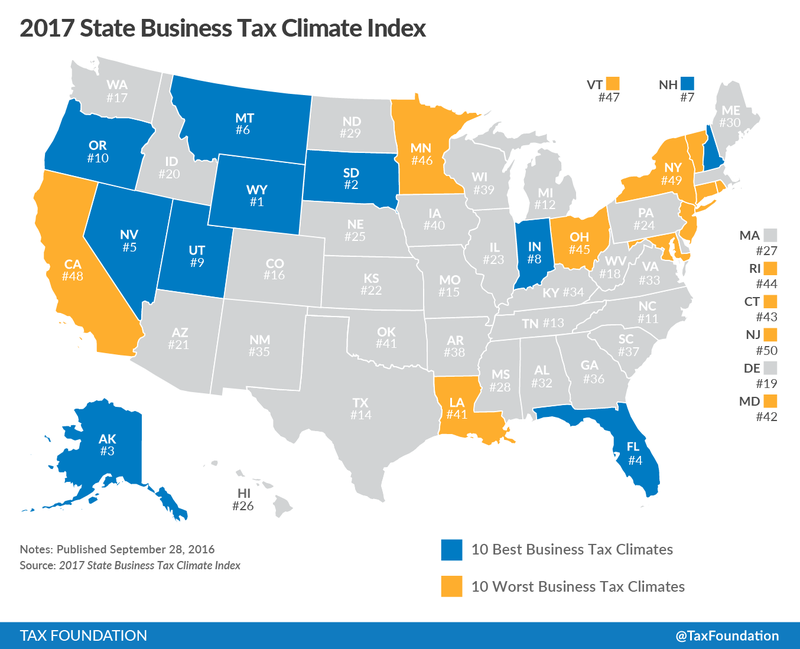 Their rankings mirror that of our State Business Tax Climate Index. [T]here is a relationship between taxes and migration. Individuals move for a variety of factors. Climate, job opportunities, family, among others, impact the decision to relocate. Taxes can influence the decision too. Tax rates and structure affect a state’s economy; states with less burdensome tax structures and lower rates tend to have better economic growth. Increased job opportunities can result from the better economic growth. It is also possible to envision specific instances where tax rates matter directly. Someone moving to Chicago for a new job could decide to live in Illinois or commute from Indiana. Indiana’s 3.3 percent individual income tax rate could be an encouragement to locate in that state over Illinois’ 3.75 percent rate. An individual moving to the Washington, D.C., area could decide to live in Virginia instead of the District because income taxes are lower. By contrast, of course, an individual moving to Austin, Texas, has limited options for daily commuting outside of Texas. Taxes are not the sole factor why individuals migrate, as evidenced above, but a relationship does exist. As states continue to compete amongst themselves for attracting and retaining residents, tax rates and structures should be part of the conversation. For more information on migration, click here.